In 2012, as competition in the telecommunications sector was growing increasingly fierce, Orange wanted to establish its position as number one in technological innovation. 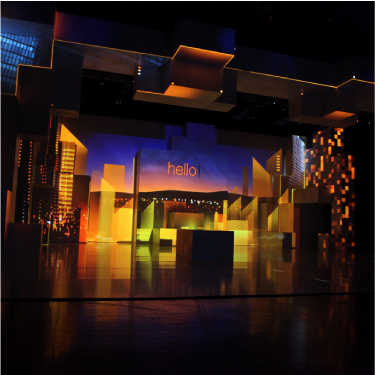 The live “Show Hello” was thus created to highlight the company’s leadership. The show took place in one site, on one day, and was performed twice: in the morning for an external audience of journalists and influencers, and in the afternoon for an internal audience, boosting employee engagement and pride. 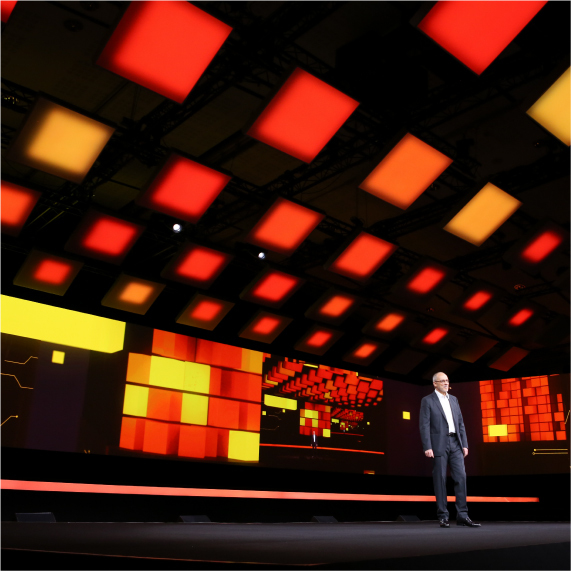 CEO Stéphane Richard presented the company’s latest innovations onstage, after which guests tested them in an interactive showroom. Thanks to immersive, state-of-the-art technology, the staging was as striking and high-tech as the innovations. 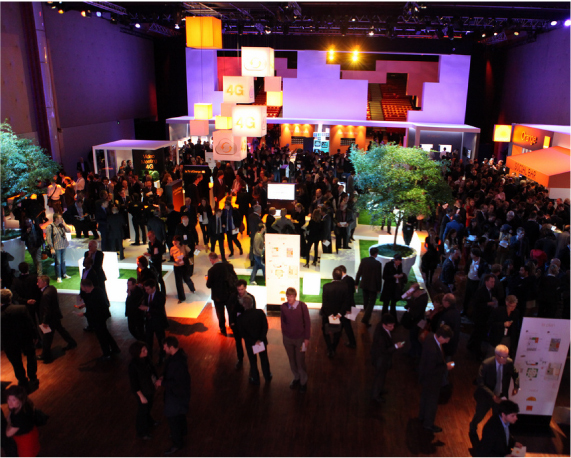 Beyond the wow factor, a 360-degree communications strategy ensured the event would create excitement near and far. 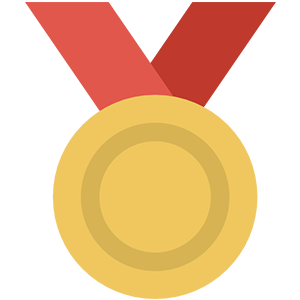 Content created during the show was transmitted worldwide on the web and social networks. 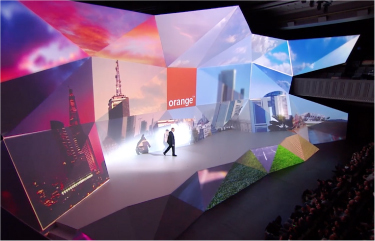 From the start, the “Show Hello” was a spectacular forum for Orange to show off its latest offerings. It became an annual event as well as a creative challenge to produce a new scenography and communication strategy each year. 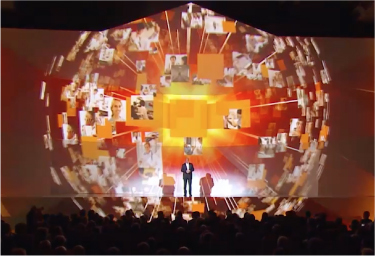 For the 6th edition in 2018, as the announcements of Stéphane Richard were part of an “inclusive innovation” strategy, centered on a positive vision of progress and accessible to all, they required an accessible staging, in a very simple form. The scenography of Havas Events echoed Orange fields of innovation, by opening 5 chapters as many windows, through which one could see the merge between the announced “digital concepts” and their reality. The showroom dedicated to the experimentation of the announced innovations, was directly integrated into the general scenography in order to be able to access it without interruption, in the continuity of the show.